Culinary Dropout serves classic meals done right. With crowd favorites like our pretzel bites and provolone fondue, 36-hour pork ribs, and our famous fried chicken drizzled with honey you’ll want to taste everything. Thirsty? 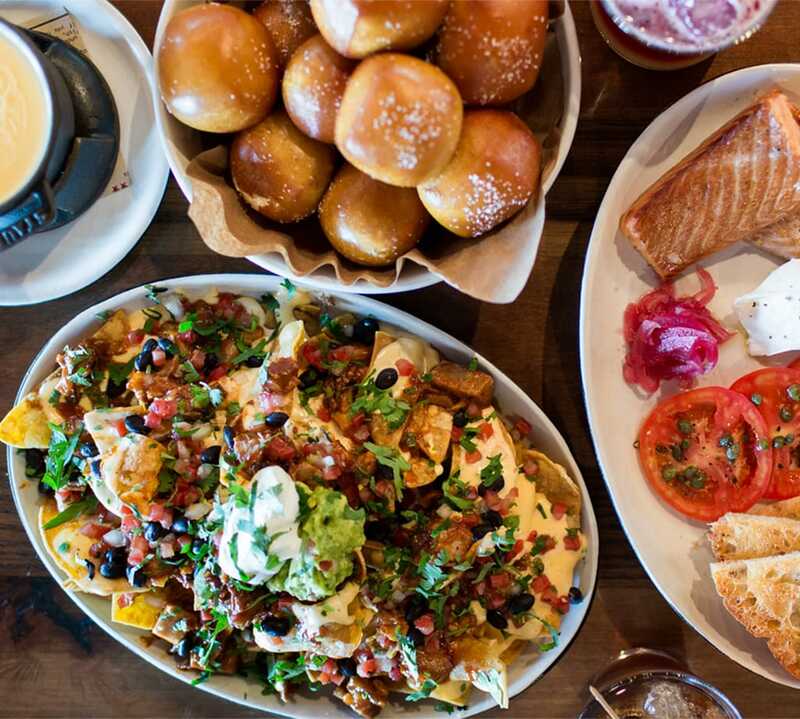 Wash it all down with an ice-cold craft beer or a killer house-made cocktail. And don't forget to stick around for games and free live music with a laid-back vibe. Culinary Dropout is for anyone who loves damn good food and drinks. We're stoked to have our restaurant at Grant Road Lumber Yard. It's historic, it's cool, you can make it your own, which is why it's the perfect setting for special events. Get a good look at its newly restored iconic sign as you devour our food. 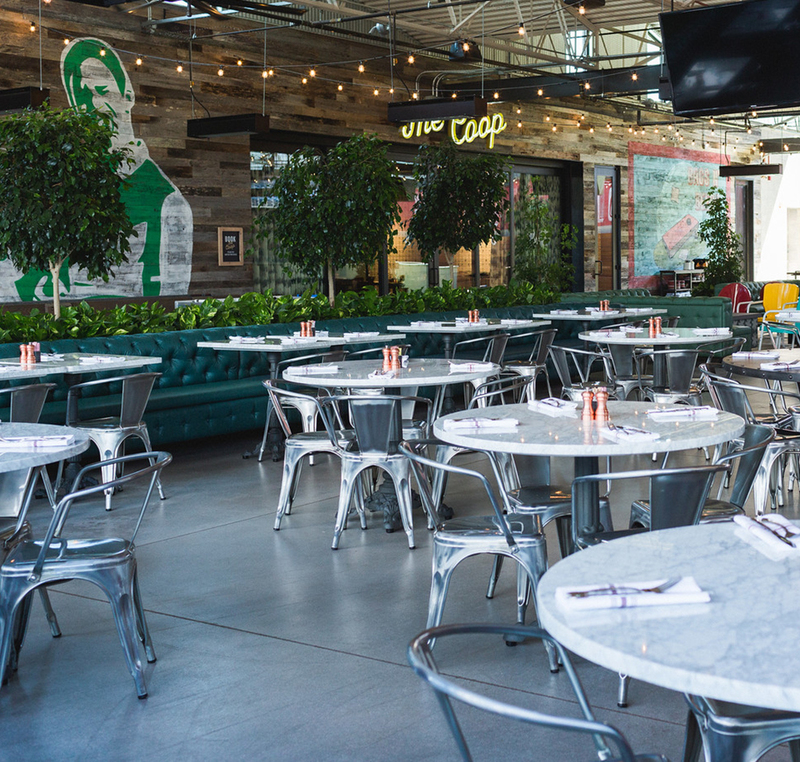 Culinary Dropout has you covered with our endless group dining options like our private space known as The Coop, fire pit lounges on the patio, and both indoor and outdoor dining rooms. Bring your friends, bring your appetite, it's going to be a good time.